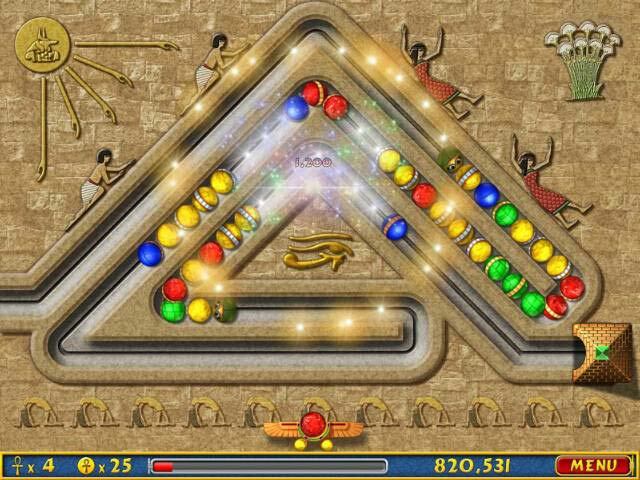 Luxor is rated 4.7 out of 5 by 9. 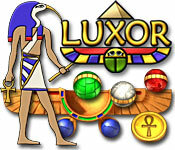 Rated 5 out of 5 by Blaine10 from Luxor challenge Good game. Starts off easy and move to more difficult. The last game is the most challenging. Rated 5 out of 5 by lazzmathezz from loving it its fun and i really love it..plz help me to get the same game again..what mus i do. Rated 5 out of 5 by Rudygeegee from This Game Needs to be in Your Collection! My second marble popper game, and what a GREAT game! Starts off deceptively easy, hey, I can do this…..then, Whoa! 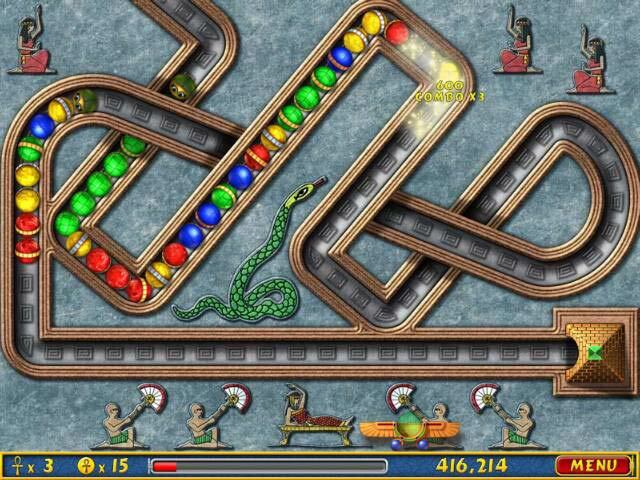 This game is getting a bit faster and with MORE marbles! 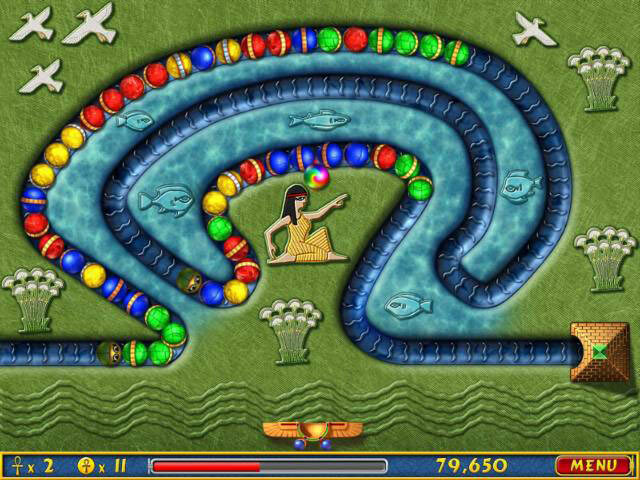 Not just the match 3 marbles, but a true strategy game with trying to get long strands of marbles matched to complete the screen. A game that should be in everyone’s collection. Rated 5 out of 5 by Anjamen from Nice game I really loved it. I love when game doesn't have more difficulties and you just play normal. Rated 5 out of 5 by juiceyboy from LUXOR Hours of fun and my skills just keep getting better and better! Rated 2 out of 5 by top_agent_pggjr from A lot to be desired Luxor is a fun game but has low replay value. It only has one mode with only one difficulty which is easy difficulty, depriving players who want harder challenges. It does not have any freeplay modes which players can choose any level they want to re-play.